UPDATE: We have our winners!! Congrats! We’ll be reaching out to you so we can send off your shirts! Thank you to everyone who entered 🙂 and keep your eyes peeled for our next giveaway! 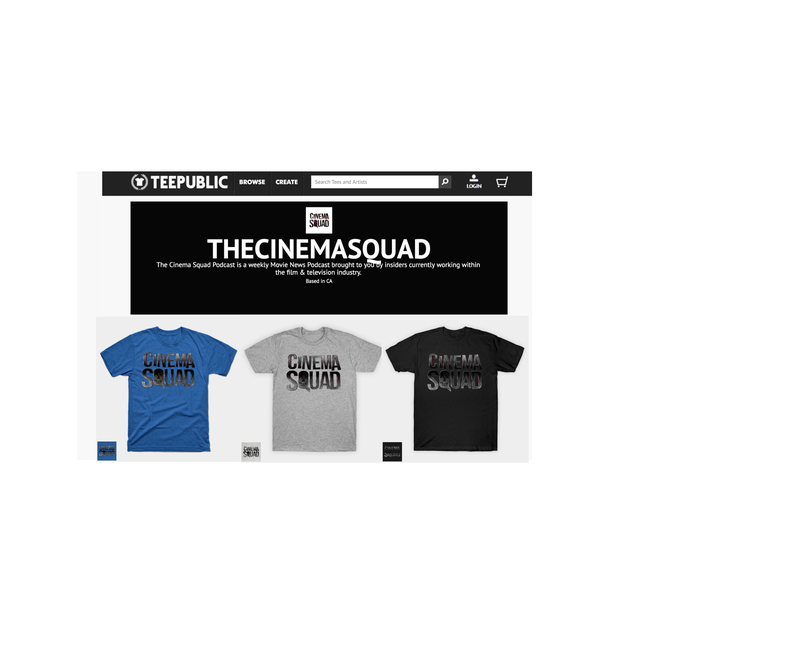 We’re giving away Two (2) Cinema Squad T-Shirts! 1) Go to our Facebook Account. Share the contest post. You’re entered! 2) Go to our Twitter Account. Retweet the contest tweet. You’re entered! A winner from each will be chosen on Sunday July 10th during our Cinema Squad Podcast!